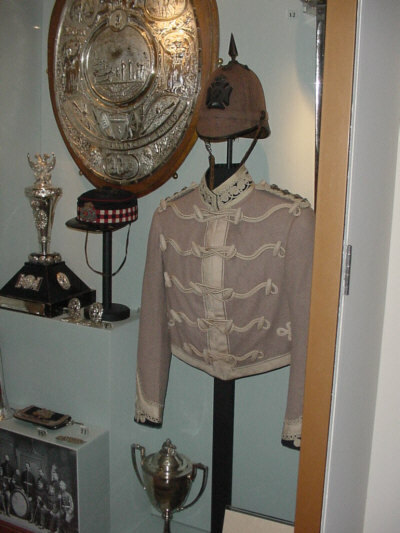 This is a picture of the cameronians regimental uniform taken at Hamilton Museum along with some captured german military uniforms and helmets. The Cameronians (Scottish Rifles) was raised as a Regiment in 1881 from the merger between the Cameronians (26th Regiment - raised 1689) and the 90th Perthshire Light Infantry (raised 1794). The Cameronians was the only regiment in the British Army to have a religious origin, being formed from Covenanters.